Stop drinking all fluids 3 hours before bed. 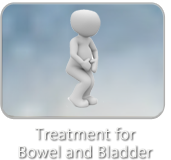 If you are properly hydrated (following the water regimen included in the bladder retraining program) then your body especially your kidneys and bladder do not need continued water. This will give your kidneys and bladder a chance to ‘catch up’ before bed. If you take medication at night before bed, a small amount of water to wash down the medicine should not keep you up urinating if the fluids had been stopped 3 hours prior. Always empty your bladder before bed even if you’re following a voiding schedule. You want to go to bed with an empty bladder. Drinking alcohol in the evening will most likely cause nocturia. This needs to be eliminated, as well as caffeine. In general, caffeine shouldn’t be ingested beyond the first hour of waking (so no afternoon or nighttime tea or coffee). Milk is the #1 bed wetting trigger in children which goes to show that having milk or ice cream in the evening may cause Bladder Irritation resulting in nocturia. Eliminate this in the evening as well (or all together if you have a milk or dairy sensitivity). If you wake up with a strong urge, do not rush to the toilet. Sit on the edge of the bed and contract your pelvic floor muscles 5-10x to suppress the urge before you get up and calmly walk to the toilet. This will decrease your fall risk and improve your bladder control. See Urge Suppression Techniques for more information. Following the 3 hour voiding schedule during the day will teach your bladder consistency and carry over to normal nighttime function—which is NOT waking to urinate at night.